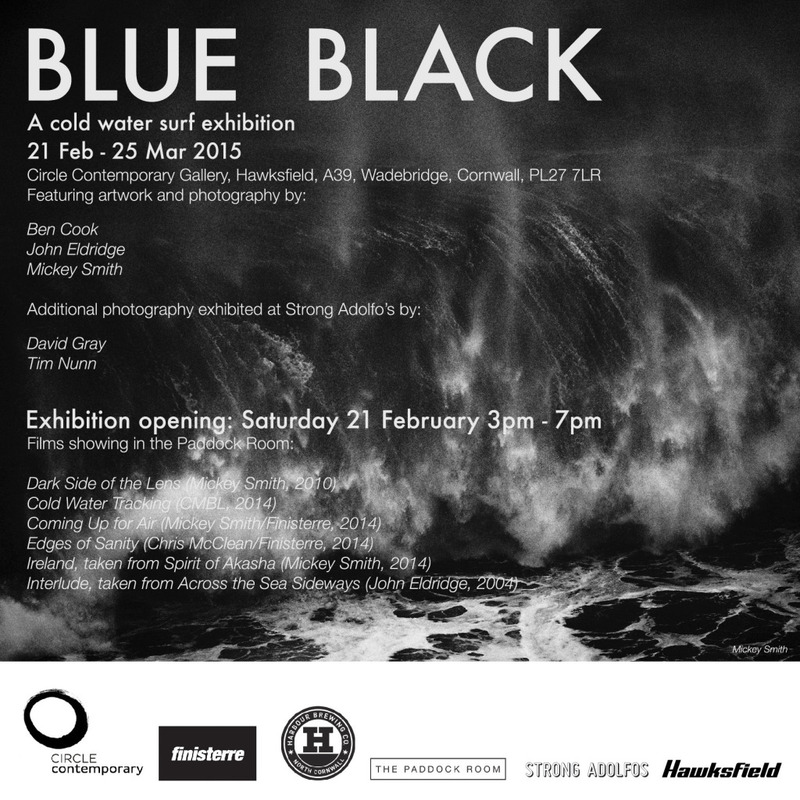 Circle Contemporary Gallery, in conjunction with Finisterre, is excited to announce the opening of Blue Black, a cold water surf exhibition. Blue Black features new and old works from artists and photographers Ben Cook, John Eldridge, David Gray, Tim Nunn and Mickey Smith. The photography and art on display touches deep within the realms of cold water surfing, a side of surfing that all can relate to here in the UK.